In this post we continue to take a look at some of the topics that the BBC chose to promote during 2018 in a manner that went beyond ordinary reporting both in terms of the amount of content produced and adherence to standards of ‘due impartiality’. Another campaign amplified by the BBC related to the Bedouin encampment of Khan al Ahmar. On September 5th Israel’s High Court rejected a petition to prevent the demolition of the illegally constructed encampment after a protracted court case. That story was reported on the BBC News website on the same day. A week later – as the demolition order was due to be lifted – the BBC’s London-based Middle East editor flew in and the corporation’s radio and TV audiences saw and heard a further five reports in the space of six days. When the demolition of Khan al Ahmar did not take place as he had anticipated, Jeremy Bowen jetted off back to London. The encampment’s residents were subsequently given until October 1st to demolish the illegally constructed structures themselves. That did not happen and the encampment remains in situ, with the BBC having – for the time being at least – lost interest in the story to which it provided one-sided, politicised amplification in six reports in less than two weeks. As documented in part one of this post, on September 17th viewers of two BBC television channels saw a narrative-driven report blighted by important omissions on the subject of the Bedouin encampment called Khan al Ahmar produced by the corporation’s Middle East editor Jeremy Bowen. 1) BBC World Service, ‘Newshour‘, September 17th, presented by Tim Franks, from 45:05 here. 2) BBC Radio 4, ‘The World Tonight’, September 17th, presented by Ritula Shah, from 17:35 here. 3) BBC World Service, ‘World Update’, September 18th, presented by Dan Damon, from 05:10 here. 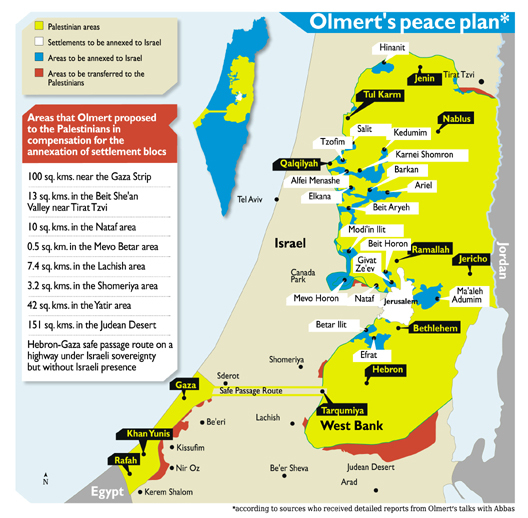 As we see, all three of those introductions gave a context-free presentation of ‘occupation’ – with no explanation that Khan al Ahmar is located in Area C and hence under the terms of the Oslo Accords is under Israeli control pending final status negotiations – and a partial representation of ‘international law’. Significantly, all three also promoted the contiguity myth seen amplified in an earlier report by Bowen – despite the fact that any potential building in the area in which Khan al Ahmar is located would in no way render the two-state solution “absolutely and definitively impossible” as claimed by the BBC. In other words, even before Bowen began his report, a politicised and partisan narrative was in evidence. The first part of Bowen’s report had been recorded on September 14th. Obviously one reason for that “international attention” is the fact that political NGOs and foreign media have – like Bowen himself – made the story a cause célèbre. Bowen then went on to give an account of events at Khan al Ahmar which – as was the case in his filmed report – contradicts accounts of other journalists at the scene. In contrast, AP reported that the bulldozers were clearing rock barriers that had been “set up to slow demolition” by local and foreign activists. Bowen went on to pass his unprofessional judgement on the proceedings. Listeners then heard a conversation between Bowen and an unidentified man. Bowen of course did not bother to clarify to BBC audiences that the man’s use of the word “our” is inaccurate because the Jahalin tribe does not own the land on which the Khan al Ahmar encampment was set up. Failing to inform listeners of the relocation package offered to the residents – including free building plots – and the Palestinian Authority’s use of the Bedouin as political pawns, Bowen went on to claim that they had “settled there in the 1950s” despite there being photographic evidence to contradict that claim. Following that repeat amplification of the contiguity myth and the notion that the relocation of squatters from an illegally constructed encampment on land to which they have no claim is a “war crime”, listeners heard the sound of singing. Listeners next heard recordings made by Bowen on September 13th. As in his filmed report, neither Bowen nor his interviewee bothered to inform BBC audiences that by September 9th – the day after the US announcement and at least four days before this interview was held – the Palestinian Authority had already announced that it would make up the deficit. Neither did Bowen raise the issue of the Palestinian Authority’s financial priorities – including the payments to convicted terrorists – when he went to get more backing for his chosen narrative in Jericho. With apparently nothing to say about Erekat’s barely veiled threats or the Palestinian education system which teaches glorification of terrorism and negates Israel, Bowen closed his report. Once again Bowen deliberately refrained from informing listeners that if the residents of Khan al Ahmar had not been exploited by the Palestinian Authority for entirely political purposes they could, like other members of their tribe, have relocated to a site nearby offering free plots of land, utilities and a school, with no need whatsoever for the community to ‘suffer’. Those facts, however, do not help advance the political narrative to which Jeremy Bowen has self-conscripted and so in these three radio items – just as in his previous filmed and audio reports – they were erased from the one-sided and politicised picture he presented. When, on September 5th, Israel’s High Court ruled that an order suspending the demolition of the illegally constructed encampment of Khan al Ahmar would be lifted in seven days, the BBC’s London-based Middle East editor obviously smelt a story. As seen here earlier, he travelled to Israel and produced an audio report on the story on September 13th. The demolition order was not carried out on September 13th but a few recently placed shipping containers were removed. The following day bulldozers were brought in to remove barriers of rocks which had been set up by local and foreign activists to hamper the still pending demolition process. Jeremy Bowen and his crew were present in Khan al Ahmar on September 14th and three days later, a filmed report titled “The West Bank village facing demolition” was aired on ‘News at Ten’ on BBC One and the BBC News channel. Viewers then heard from a person described as the “village preacher”. Yet again Bowen did not bother to clarify to viewers that, far from facing an “unknown fate”, the residents of Khan al Ahmar have been offered free plots of land with already existing connections to utilities close by – at a cost of over $2 million to the Israeli tax payer. Once again ignoring photographic evidence, Bowen repeated the narrative according to which the encampment existed before 1967, while inaccurately claiming that it is ‘surrounded’ by “Jewish settlements” and giving viewers a partisan representation of “international law”. He then introduced a topic unrelated to the Khan al Ahmar case – which he refrained from telling BBC audiences has been the topic of court cases for the past nine years. Viewers next saw an interview with a hospital official apparently filmed on September 13th. Neither Bowen nor his interviewee bothered to inform viewers that by September 9th – the day after the US announcement and at least four days before this interview was filmed – the Palestinian Authority had already announced that it would make up the deficit. Viewers then saw part of an interview with Israel’s Minister of Education which was also promoted separately on the BBC News website along with another version of this report. Bowen closed his report with amplification of the notion that the relocation of squatters from an illegally constructed encampment on land to which they have no claim is a “war crime”. Notably the BBC’s Middle East editor – whose job it is to “make a complex story more comprehensive or comprehensible for the audience” – chose yet again not to tell the BBC’s funding public that the EU has also carried out illegal construction at Khan al Ahmar and other sites in the vicinity or that the Palestinian Authority and various NGOs have for years used the encampment’s residents as political pawns. To do so would of course hamper the narrative to which Jeremy Bowen has self-conscripted and which he elected to promote in this report as well as subsequent ones which will be discussed in part two of this post. On the morning of September 13th the BBC’s Middle East editor, Jeremy Bowen, sent a context-free tweet to his 170,000 followers. Neither Iqbal nor Bowen bothered to adequately clarify to listeners that the structures removed on the morning of September 13th had actually been placed there deliberately just days earlier by Palestinian activists on behalf of the Palestinian Authority and were not part of the encampment itself. Bowen commenced his report by failing to explain to listeners that what he described as “a road” is actually a major highway – Route 1. As can be seen on the UNOCHA produced map below, Khan al Ahmar is not located “just opposite” Ma’ale Adumim but further to the east and neither is it located in the area known as E1. Bowen did not bother to clarify to listeners that the location of the story is in Area C which, according to the Oslo Accords, is under Israeli control pending final status negotiations. Nevertheless, Iqbal and Bowen went on to advance a false narrative about ‘contiguity’ that the BBC has been promoting for years. Iqbal then went on to ask Bowen whether or not the Israeli Supreme Court had got its facts right. Obviously at that point it would have been appropriate for BBC audiences to have been told that the EU has also carried out illegal construction at that site and others in the vicinity. It would also have been helpful to listeners to know that under previous peace proposals, the area of E1 was set to remain under Israeli control. Yes – despite Bowen’s faulty geography, his amplification of the ‘contiguity’ myth and his failure to provide BBC audiences with the full background to this story (not least the fact that related court cases have been going on for nine years and the residents of Khan al Ahmar have been offered free plots of land on which to build homes nearby) and notwithstanding his erasure of the politically motivated interventions by the Palestinian Authority and the EU in this case, BBC World Service listeners were told that they had just heard an ‘expert’ explanation. “Israel’s Supreme Court has rejected appeals against the demolition of a Bedouin village in the occupied West Bank whose fate has been a subject of international concern. The caption to the main photograph illustrating the article, together with a later paragraph, suggests that the BBC’s journalists did not read the court’s decision in which it is stated that the settlement was built during the last twenty years. They are not however informed that the court’s decision notes that the residents make no claim of ownership of the said land and that the site – and in particular the illegally built school – is too close to a major highway for construction to be permitted there under planning laws. Neither were they informed that the court stressed the importance of an equal approach to illegal construction, regardless of the ethnicity of the petitioner. Readers are not informed of the relevant fact that the residents were represented by lawyers hired by the Palestinian Authority. Readers were not told that the offer of relocation includes a free plot of land already connected to utilities at a site with existing services including a school. “Israeli Defence Minister Avigdor Lieberman congratulated the court on Wednesday’s ruling upholding the demolition order, which he said had come despite “the orchestrated hypocrisy of Abu Mazen [Palestinian Authority President Mahmoud Abbas], the Left and European states”. Readers found no explanation of that reference to “European states” and so remain unaware of the fact that some of the illegal construction at that site and others was carried out by the EU. In addition, readers found forty words of comment from what is described as the PLO’s “human rights body” along with a link to the B’tselem website. The only other link in the article leads readers to the UNRWA website and readers are provided with 145 words of highly questionable legal interpretation attributed to “the UN”. In other words, in addition to the serious omissions in the BBC’s representation of this story, audiences saw four times more comment (and two links) from outside sources opposing the evacuation of the illegally constructed settlement than they did opinions in favour. Treading faithfully in the footsteps of their compatriots of yesteryear, few subjects have been done to death by British journalists in the Middle East as that of the Bedouin in Israel. It therefore came as no surprise to find the BBC’s Wyre Davies venturing a whole eleven miles out of Jerusalem last month to report on “Israeli threat to Bedouin villages”. Davies’ report appeared in the Middle East section of the BBC News website, as well as on television news, on October 18th. It was also broadcast on the BBC Radio 4 programme ‘The World Tonight’ on October 25th and can be heard here from around 25:26′. Contrary to what Davies would apparently have his listeners believe, in Israel demolition orders on buildings constructed – in any sector – without planning permission are not given out by the neighbours, but by the relevant authorities. One may think that of all places, it would be wise to ensure that a school was built according to health and safety regulations. Apparently that aspect of the story is of no concern to Davies, who next interviews a woman named as Angela Goldstein and described as “an advocate who campaigns on behalf of this Bedouin community”. The whiff of racist rhetoric arising from that comment should have wised-up Wyre Davies to his interviewee – did he not already know who she actually is. Angela Godfrey Goldstein is no mere ‘advocate’: she is the policy officer for ICAHD – the political NGO which promotes apartheid rhetoric and the elimination of Israel as a Jewish state. She is also a member of the ‘Free Gaza Movement’ ,which was recently involved in a scandal due to its anti-Semitic Tweets and of course organizes flotillas. ICAHD’s director Jeff Halper sits on Free Gaza’s Board of Advisors as well as being a member of the ‘Russell Tribunal‘. In addition, Ms Godfrey Goldstein is a member of Machsom Watch (the same organization which organized a delegation to comfort the families of the arrested murderers of the Fogel family) and her trip to Khan al Ahmar is far from a one-off: she runs a nice line in political trips to the encampment, in which Wyre Davies’ next interviewee, Eid Abu Hamis of the Jahalin tribe, is something of a regular feature. The Jahalin tribe has been the subject of many articles over on our sister blog CiF Watch, due to the fact that Khan al Ahmar is also a favourite and frequent watering hole for Guardian correspondents. Readers can view more background information here and here. The story which Wyre Davies tells is by no means a new one; in fact, it has been going on for about thirty years and Israeli courts have examined – and rejected – the Jahalin’s claims to the land. “The Jahalin have been making claims about the land of Ma’ale Adumim, and squatting on state land assigned to the community, since the 1980’s. They have been warned many times by successive Israeli governments that eventually they would have to move. Most of the Jahalin eventually agreed that they did not have rights to the land. For example, according to a January 29th, 1994 Los Angeles Times article, “no one, not even Hairsh (Mohammed Hairsh, a Jahalin leader) claims that his tribe has a legal right” to the land they have been occupying. Nevertheless, out of sympathy for the plight of the Jahalin tribe, the Israeli government offered them title to a plot of land if they would agree to leave their encampment near Ma’ale Adumim. This new site is about one kilometer from and more than five times larger than the Jahalin’s previous encampment. In addition, under the proposed agreement with the Jahalin, the Israeli government agreed to provide, at no charge, electricity and water hookups, cement building platforms and building materials. Bizarrely, Wyre Davies then interviews MK Ariyeh Eldad – presumably supposedly in the name of ‘balance’. Eldad, however, does not represent the Israeli government against which Davies’ other interviewees make charges (he also represents a mere fraction of Israeli opinion with his party – Ichud Leumi – holding a mere 4 seats in the Knesset) and therefore the interview with him can hardly be considered a ‘right of reply’. Once again, a BBC reporter fails to reflect the fact that there are conflicting and diverse legal opinions about the status of the land in question, as well as neglecting to mention that it falls in Area C which, under the Oslo Accords, is still subject to negotiation. That final statement, by the way, is not true. The proposed community includes both religious and secular people, but to pretend otherwise undoubtedly embellishes the story with new dimensions. Again, CiF Watch has published much on the subject of land disputes with the Negev Bedouin because that too is a frequent subject for Guardian journalists. Background reading is available here, here and here. Details of Israeli government offers and incentives to the Negev Bedouin squatters can be read here. One organization involved in the politicization and promotion of Negev land disputes as a means of delegitimizing Israel is ‘Adalah‘. Adalah calls for the replacement of the Jewish state with a ‘democratic, bilingual and multicultural’ country in which Jewish immigration would be limited to strictly humanitarian cases but Palestinian refugees and their descendants would be entitled to the ‘right of return’. Ironically, Adalah is also involved in a campaign to remove Jewish residents from areas of the Negev. Wyre Davis’ interviewee in Umm al Hiran is Suhad Bishara, whom he describes as “a lawyer who represents the Bedouin in their fight to remain here”. “It’s like the Wild West. Human rights are suspended. The rule of law is suspended. This is black and white. 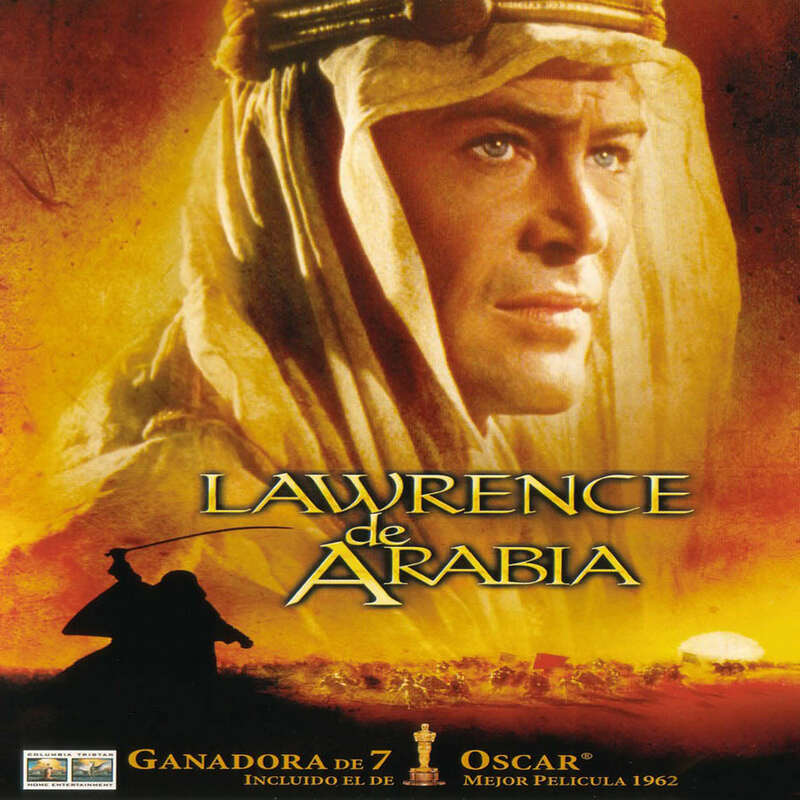 You are not entitled to be here because you are an Arab”. So, what do we have here? Well, obviously Wyre Davies is telling a very partisan version of a story without even trying to appear impartial or accurate. The rhetoric he and his interviewees use is clearly designed to leave the audience with shocking impressions of Israeli discrimination and racism towards the Bedouin. Davies does not make a proper attempt to recount the other side of the story apart from the inclusion of a very brief statement by COGAT in the internet version only. But what is really shocking about this collection of articles and broadcasts by Wyre Davies is his willingness to play wingman for political NGOs dedicated to the abolition of the State of Israel. By failing to declare the affiliations of his interviewees, Davies allows the BBC to be used as a medium for the promotion of their message. Did ICAHD and/or Adalah organize Davies’ visits to Khan al Ahmar and Umm al Hiran? He certainly would not be the first journalist to take advantage of such trips in exchange for a sympathetic write-up, if he did. The BBC needs to provide transparency on the background circumstances to these articles immediately.